southern orders : THE POPE CLARIFIES THINGS FOR US--VERY CLEAR! 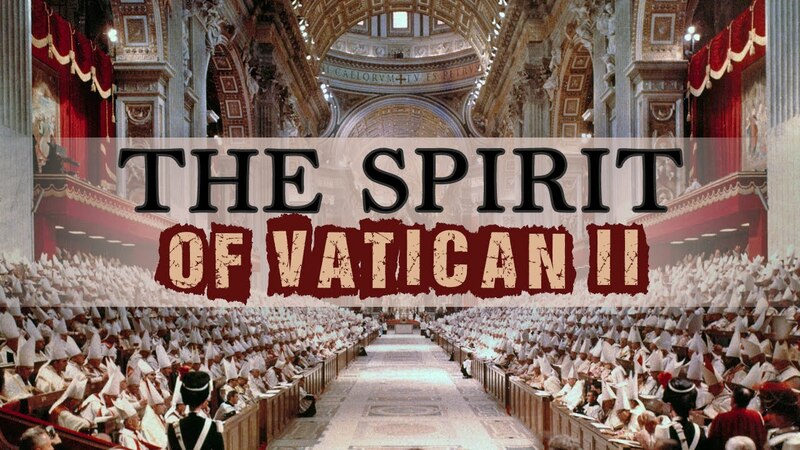 IT IS SPIRIT OF VATICAN II CLEAR! THE POPE CLARIFIES THINGS FOR US--VERY CLEAR! 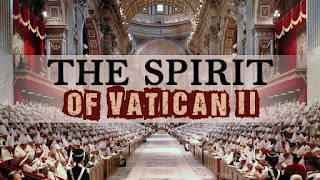 IT IS SPIRIT OF VATICAN II CLEAR! After the historic signing of the document, what do you think the consequences will be in the Islamic world? I am thinking above all of the conflicts in Yemen and Syria. And what are the consequences also among Catholics? Considering that there are some Catholics who accuse you of being exploited by Muslims. “Not only by Muslims... (He laughs, ed.) They accuse me of being exploited by everyone, even by journalists. It’s part of the job, but I want to say one thing. From the Catholic point of view the document has not give way a millimeter from Vatican II, which is also cited several times. The document was made in the spirit of Vatican II. (I feel so much better as the spirit of Vatican II has really blessed the Church-not!) I wanted, before making the decision, to say it’s fine like that and we sign it like that, at least for my part I had it read by some theologian and also officially by the theologian of the Papal Household who is a Dominican, with the beautiful tradition of the Dominicans, not to go witch hunting, but to see the right thing... and he approved. If one feels bad, I understand it, it’s not an everyday thing... but it’s not a step backwards: it’s a step forward. A step forward that comes after 50 years, from the Council and that must develop. Historians say: it takes 100 years for a Council to root in the Church, we are halfway there. It has my attention. I’ll tell you: I’ve seen the phrase, but I don’t know if it’s a safe phrase, but it’s a phrase from the Council... it surprised me as well... Even in the Islamic world there are different opinions, there are some more radical, and others which are not. Yesterday in the council of wise men there was at least one Shiite, that gave a very great universality, he spoke well. There are discrepancies among them as well, but it’s a process and processes mature”. Good grief. This man has an acute case of verbal diarrhoea. He indeed talks nonsense - no historian has ever said that it takes a hundred years for a Council 'to root in the Church' since it is palpably untrue. PF may be cunning, may be Machiavellian, may be a bad-tempered old man in a hurry; what will probably save us in the long run is that he is, frankly, not very bright. It will hold future generations of Christians hostage to the perpetuation of this idea or fierce suppression if any future Pope corrects it. Maybe all this dialogue with Islam will mean nuns will begin wearing a veil again. Does this pope ever not talk? Joe asked "Does this pope ever not talk?" Answer: Yes, every time an important question or doubt occurs.